Nearly two years after 500 Startups acquired his seed stage program, Mexican.VC, angel investor and current Facebook Product Manager David Weekly is once again betting on a tightly targeted fund. This time, he’s going after the nascent commercial drone market. Drone.VC, a new investment syndicate organized via AngelList, has already generated real interest: At the time of publishing, Drone.VC had $55,000 from 21 backers including AngelList Co-Founder Naval Ravikant. Weekly made no statement about future plans to go full-time on Drone.VC or leave Facebook, where – according to his Linkedin profile – part of his past work involved “helping map the disconnected, and developing the vision for Facebook’s Connectivity Labs ([its] plans to use drones, satellites, and lasers to connect the world).” Weekly said he no longer works on Connectivity Labs; he’s now focused on information tools at Facebook. Why – of all things – drones? In determining what niche market to tackle, Weekly looked for three qualifiers: 1) Does the potential market have the capacity to generate multiple billion dollar companies? 2) Is the market small enough to get in early, but growing enough to be interesting? 3) How many other investors have reached the same conclusion and are already moving in on the niche? Weekly said he hoped to replicate the success of Mexican.VC with these qualifying questions. Weekly also noticed that core components for drones such as gyroscopes and GPS trackers were improving and becoming more accessible. The economic environment has changed considerably for UAV hobbyists and businesses alike in recent years. 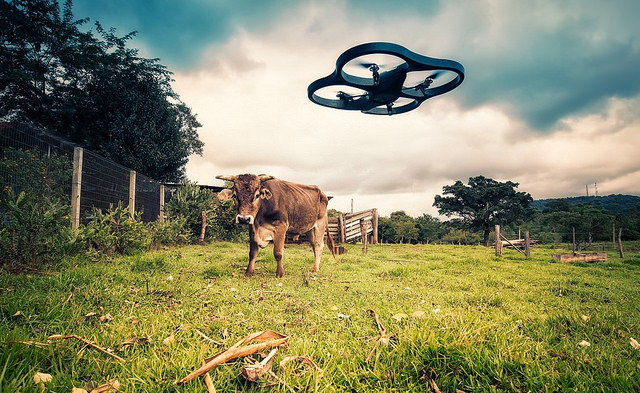 According to a March 2013 report from the Association for Unmanned Vehicle Systems International, the total economic impact of commercial drones into the U.S. market could reach $82.1 billion by 2025 and could create 103,776 new jobs. But could a startup build a billion dollar company based on drones? Weekly thinks so. Consider the potential consumer interest in a couple hundred dollar drone made to work with GoPro (See GoPro’s Mattermark Profile), a company that’s already filed for an IPO. Personal videography could grow to an even larger market with the sudden ability (through use of drones) to quickly and inexpensively create beautiful moving stories with artistically interesting positions. UAV companies such as DJI Innovations already have a headstart on this concept with its Phantom product line. Other popular companies in the space such as 3D Robotics and Parrot (See Parrot’s Mattermark Profile) are branching out in similar ways, but opportunities beyond personal video abound. Drone.VC’s notes say that “applications are expected to cover a very wide range of geographies and industries, including farming, oil and gas, real estate, retail/delivery, and security/surveillance.” However, Weekly said the fund would not support military-focused or weaponized platforms. He also said he isn’t particularly concerned about current government contractors competing with drone startups in the commercial space. “I don’t think Lockheed Martin is going to produce anything you put under the Christmas tree for the kids,” Weekly said. The next year and a half represents a “legislative danger window” while the market tries to prove itself and as the FAA considers its official rules, Weekly said. If a startup or hobbyist experimenting with drones causes great damage, for instance, stifling legislation could be passed and could crush the industry’s future in the U.S. Drone makers will need to focus during this time on building core safety technology and consider how it will approach privacy issues, he said. 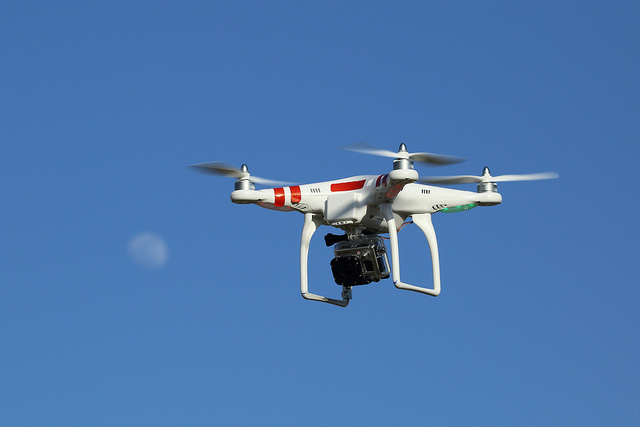 The nascent commercial drone market already has a long list of risks. Will the potential rewards be enough to attract serious capital in the future? Tell @Mattermark on Twitter what you think by using hashtag #dronevc. 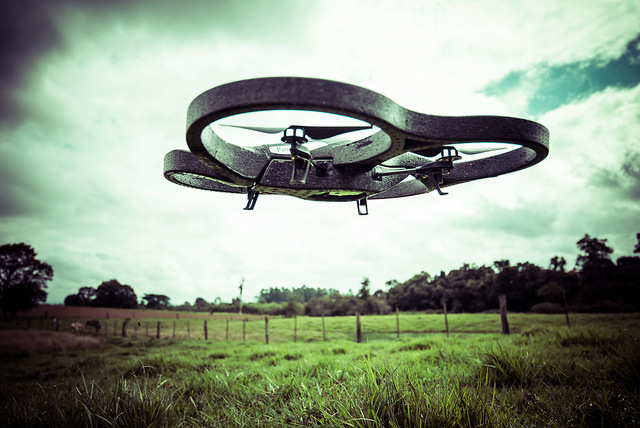 What does the current landscape look like for commercial drone-focused startups? Mattermark compiled a short list of these companies ranked by their Mattermark Score as a quick sample of the market. We’ve also included their current funding. Log in now to check out full company profiles and side by side comparisons.